Creating EPC diagram with free templates and examples. EPC diagram has never been easier. 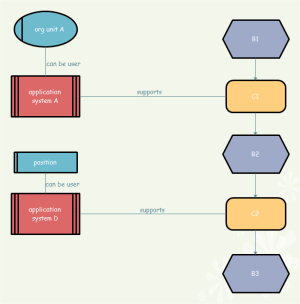 EPC diagram, short for event-driven process chain diagram, is a type of flowchart used for business process modeling. 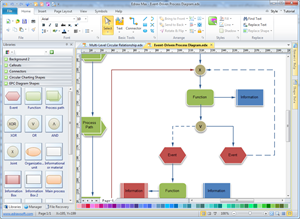 It enables you quickly and easily to create a high-level, visual model of your business process. EPC is an ordered graph of events and functions providing various connectors that allow alternative and parallel execution of processes. The greatest strength of EPC shall be its simplicity and easy-to-understand notation which makes EPC a widely acceptable technique to denote business processes. 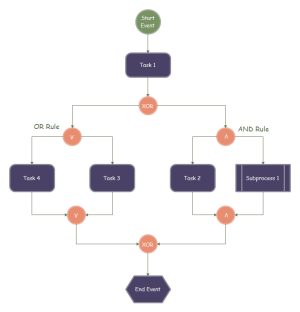 EPC diagrams illustrate business process work flows and are an important component of the SAP R/3 modeling concepts for business engineering. One thing you should pay attention to is that any EPC diagram must start with event(s) and end with event(s). Edraw is designed with an EPC Diagram template, through which you can easily create a professional looking EPC Diagram. The interface is straightforward and handy, allowing both experienced and new users to design with free templates. There is a large collection of pre-made shapes and examples, which helps you get started quickly. The automated tools and user-friendly design make drawing incredibly easy, which greatly saves your time and energy. 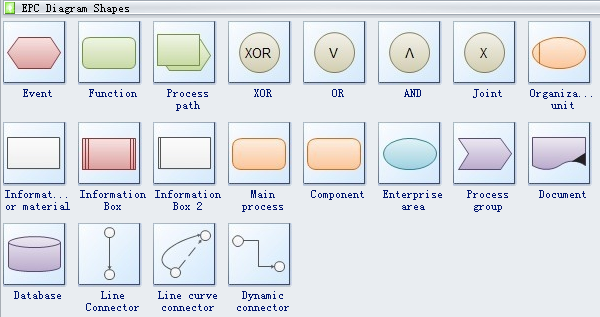 EPC diagram templates include many special shapes, event, function, process path, XOR, OR, AND, joint, organizational unit, informational or material, information box, main process, component, etc. These shapes enable you to draw a professional-looking EPC diagrams. 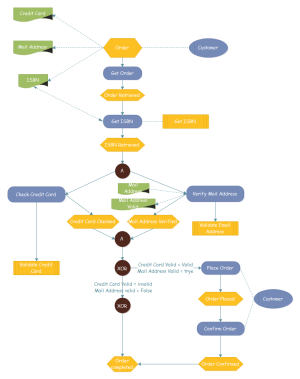 A event driven process chain template is ready to use in vector format for your own designs. A book order EPC template is carefully prepared and presented here in vector format. You can make use of it anytime as you like. Before start designing, have a glance at this well prepared example, which might get you some inspiration in EPC construction. 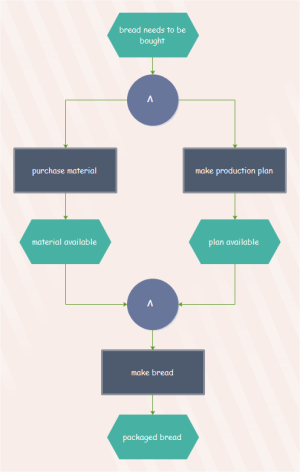 Hope this customizable template will bring you some convenience in EPC diagram creation.